With the Moto E 3G (2nd generation) failing to live up to the standards and inferior in many ways to its competitors like Redmi and Lenovo, it was a matter of survival for Motorola to iron the chinks in its armor as soon as possible. With the Moto E 4G, they might have checked all the right boxes. This Snapdragon 410 powered Dual SIM is available for pre-order on Flipkart at Rs 7999/-. It surely comes with a whole lot of additions than its predecessor, but is it going to be enough to beat the competition? Let’s find out. Almost all the other features remain the same across the two models. The 4G LTE support is what Motorola would be counting on to win back some of the customer base. The 4G LTE incompatibility was a big letdown for Indian users with many of the cellular operators beginning to offer 4G services across Indian cities. However, they have made appropriate corrections in the new model. We will have to wait and see if this hasn’t come too late. Excellent camera features with a 5MP camera with auto focus. The pricing of the Moto E 4G is a bit of a contention since it is priced Rs 1000 above its competitor models like Redmi and Lenovo. This is going to make a big difference when it comes to intense competition among low budget phones. It is also to be noted that the Moto E 4G still falls short of a few hardware and software specs when compared to its competitor models. However, the higher price tag of the Moto E 4G comes with its share of advantages as well. It comes with the latest Android 5.0 Lollipop OS. Added to this is the fact that Motorola phones have always provided excellent Android experience. Users looking for a world class Android experience wouldn’t think twice to go for the Moto E 4G. Coupled with this is the fact that Motorola offers fast OS updates as well. 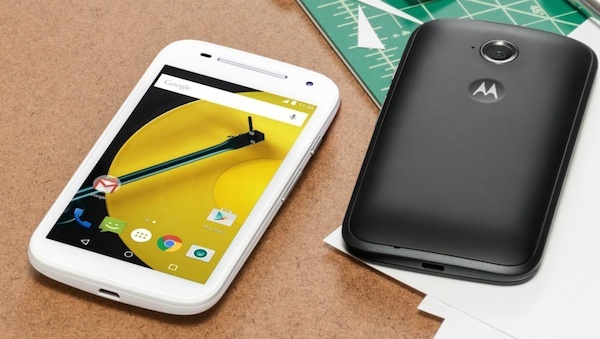 Buy Moto E (2nd Gen) 4G @Flipkart! The Moto E 4G is available on Flipkart at Rs 7999/- for preorder. If you make your bookings now, you can avail yourself some fantastic offers like a 70% discount on Transcend Class 4 microSD card. Also on offer is cash back for first 200 customers. If you are a music lover, you can avail the 6 months free music download on Saavn Pro as well. All said and done, the Moto E 4G is a decent buy considering all the features and specifications you will be getting at a reasonable price. The brand value of Motorola is something that customers have grown to trust over the years.